Unlike shower favors, which tend to be uniform and given to each guest for attending, shower game prizes can range from functional to fun and imaginative. Just make sure your prizes are different from your favors so everyone has the opportunity to go home with a variety of goodies. Choosing game prizes is one of the best parts of planning a baby shower. Plan on one prize per game, unless any of the games you choose can have more than one winner. In that case, you'll need extras, and it's definitely better to have a few leftover prizes than to risk running short. Check the beauty care section at any department store and you're sure to find a variety of small kits that would make very nice game prizes. Consider items like manicure kits, lip balm sets and more. Small photo frames make excellent prizes. You'll find them in a variety of materials when you shop locally. 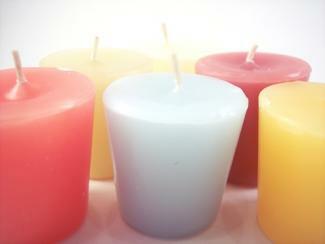 A nicely scented candle makes a terrific baby shower prize. You can use votives, tea lights or wax melts as a less expensive option, or choose jar candles if you have a bigger budget. Here is an unusual prize that most of your guests have probably never encountered at a baby shower before. You can give packages of incense along with inexpensive incense burners. Everyone can appreciate a prize like a bottle of lotion. It's certainly functional, but it also offers some pampering for the winner. Lotions that contain more luxurious ingredients like jojoba oil and shea butter are bound to be welcome. Handmade soap is another prize item your guests are bound to love. Try to choose unique scents and shapes that lend a touch of glamour to such an everyday item. For an extra touch, you can even use decorative packaging for the soap. 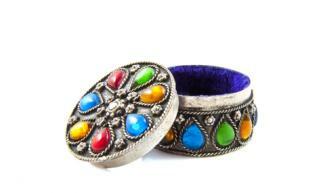 You can purchase small jewelry or trinket boxes that are actually quite inexpensive. Most dollar stores carry these items, but if you're willing to spend a little more, you can also find them at stores like Etsy. Simple or ornate bookmarks make great prizes. Your local bookstore probably carries a wide assortment, but you may actually want to make them yourself if you're crafty. Gather some heavy cardstock, paper punches, some rubber stamps and embroidery thread, and you have the makings for some beautiful bookmarks. Books really can make wonderful shower prizes. Just be careful that your selections are PG-rated since this is a baby shower, not a bridal shower or bachelorette party. A book like Nicholas Sparks' The Notebook or The Time Traveler's Wife by Audrey Niffenegger are great reads that are suitable for a wide ranges of audiences. 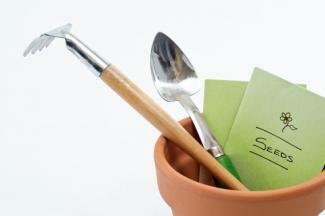 An herb pot kit could make an especially nice gift if the baby shower will be held in spring. You could even assemble one yourself with items from the garden department at a local store. All you need is one small clay pot, decorated or not, one seed packet, one or two small garden tools, and a Ziploc bag filled with enough potting soil for one pot. This is bound to be a popular prize, so you might want to make several kits to give away. Gift bags are yet another prize option. Consider filling your bags with items like flavored coffees or teas, or even homemade cookies. Gift certificates also make good prizes. Consider certificates for a coffee or ice cream shop. While it's fine to choose your game prizes from the same general group, it's more fun to mix things up and provide prizes that encompass a little bit of everything. This makes the games more interesting for the guests if they're surprised by each new prize, and they can even trade prizes with each other if they like. That way everyone leaves the baby shower happy.